As leaders in the church we give of ourselves for the good of our churches and communities. However, the Gospel will long outlive our season of ministry. We must raise up sons and daughters who will carry the baton for their generation. Over three days at Global 2019, we will consider the responsibility and opportunity that each generation has to spur on the next in their service of Gospel advance. 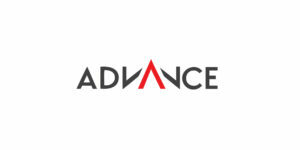 Global 2019 is Advance's premier combined conference, taking place every two years in a new location. In 2019, the event will be hosted in Cape Town, South Africa. 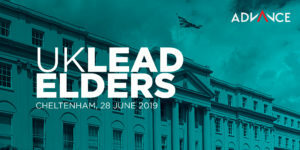 Lead Elder couples from partner churches in the UK will gather in Cheltenham on 28 June 2019. More information available soon. Partner churches from the East Coast will gather at One Harbor Church, in North Carolina from 19 - 21 September 2019. Advance partner churches from the Mid-west region will be gathering in St Louis, Missouri. More information coming soon. Partner churches from the West Coast will gather in Brea, Southern California from 7 - 9 November 2019. More information coming soon!